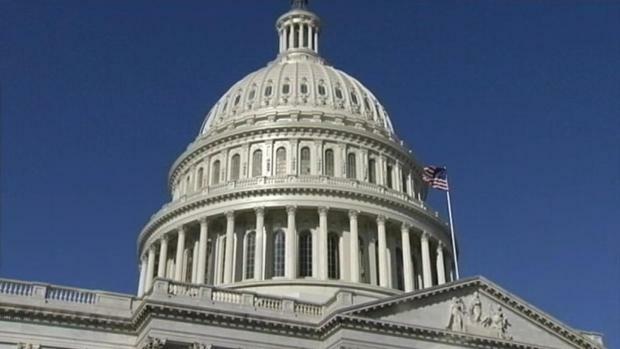 Congressional leaders met with President Donald Trump at the White House on Friday to work on a deal to end a partial government shutdown. Negotiations were expected to continue through the weekend. In Washington, it's all about the wall. At the border, it's only part of the story. Border authorities are struggling with outdated facilities ill-equipped to handle the growing increase in family migrants, resulting in immigrants being released onto the streets every day. The immigration court system is so clogged that some wait years for their cases to be resolved and lacks funding to pay for basic things like in-person translators. An increase in sick children arriving at the border is putting a strain on medical resources. But the Washington debate has focused almost exclusively on the $5 billion in wall spending that President Donald Trump wants. Other proposals being discussed keep the rest of the Homeland Security department funding at existing levels. "The wall is a tool. Unfortunately, even if it's implemented across the border it isn't a solution to all the problems," said Victor M. Manjarrez, a former Border Patrol chief with more than 20 years of experience, now a professor at the University of Texas-El Paso. 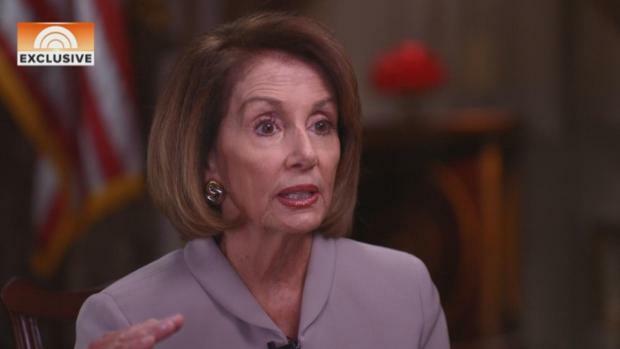 Incoming House Speaker Nancy Pelosi told the Today Show that Democratic lawmakers want to end the ongoing government shutdown, but they will not fund the border wall to make it happen. President Trump, meanwhile, tweeted he'll work with Democrats but "there can be no real border security without the wall." Trump has suggested migrants won't bother to come if he gets his way, making other immigration issues less problematic. Walls and fencing currently blanket about one-third of the border — mostly built under President George W. Bush — and the president wants to extend and fortify them. But contracting, designing and building new wall systems complete with updated technology could take years. Trump met Friday with Congressional leaders who said the president threatened the shutdown could go on for "years." Trump later said he'd considered using executive authority to get a wall built on the border. "You can call it a barrier, you can call it whatever you want," Trump said a day earlier, flanked by immigration union heads. "But essentially we need protection in our country. We're going to make it good. The people of our country want it." 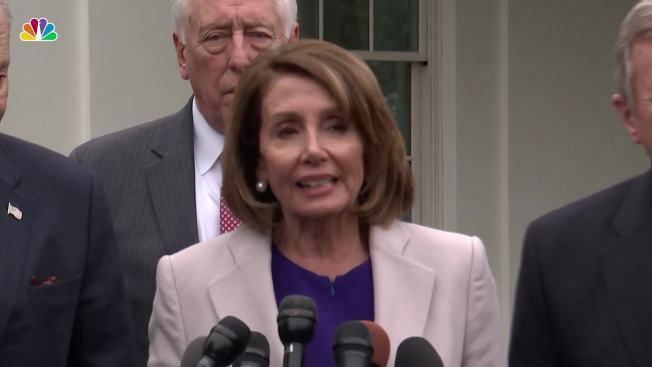 Meanwhile, the House passed a bill Thursday evening to fund the government without the $5 billion, with new Democratic Speaker Nancy Pelosi calling the wall an "immorality." The debate overlooks major bottlenecks in the immigration system as more families and children traveling alone turn themselves in to authorities to seek asylum, instead of trying to elude capture as almost everyone did just a few years ago. In some cases, migrants are climbing existing border fence and seeking out agents to surrender. The backlog in immigration courts has more than doubled to 1.1 million cases since shortly before Trump took office, according to Syracuse University's Transactional Records Access Clearinghouse. Families and children now account for about six of 10 Border Patrol arrests, but there are only about 3,300 family detention beds and the number of unaccompanied children in government care has soared under Trump. 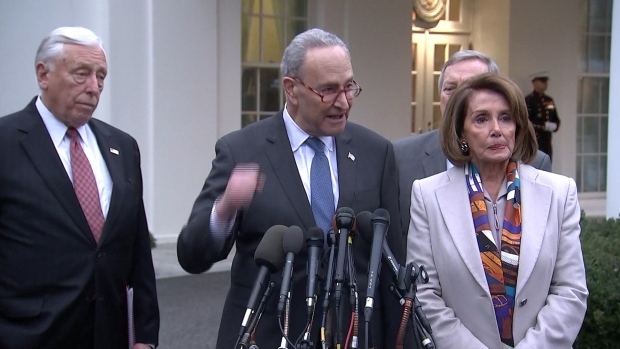 Congressional leaders met with President Donald Trump at the White House on Wednesday, but no deal was reached to end the government shutdown. Border crossers are stuck in short-term holding cells for days and there has been a spike in sick migrant children, including two who died in custody. In addition, the wall will do little to address the issue of visa overstays — when immigrants come to the country legally and remain here after their papers expire. Authorities say there were nearly 740,000 overstays during a recent 12-month period. And border agents continue to struggle with growing numbers children and families. Officials say they are stopping about 2,000 people a day, more than 60 percent children and families, higher than during many periods under President Barack Obama. They referred 451 cases to a medical provider from Dec. 22 to Dec. 30, more than half children. David Aguilar, the Border Patrol chief from 2004 to 2010 and a former acting Customs and Border Protection commissioner, said agencies that oversee long-term immigration custody need more funding to immediately step in after the Border Patrol makes an arrest. He says the agency is "overwhelmed" in dealing with all the children and families coming across the border now, much different from the 1990s and 2000s. "The demographics and the flows that are crossing the southern border are very different from the demographics and flows when we built the original walls ... back in 2006 and 2008," he said. Customs and Border Protection Commissioner Kevin McAleenan, testifying before the Senate Judiciary Committee last month, said stations were not built to manage the crush of families coming over. The wall was important, he said, but so were these other issues. He said they needed budgeting for medical care and mental health care for children in their facilities. How Far Can $15 Billion Go in Washington? Trump has significantly increased the number of immigration judges but, A. Ashley Tabaddor, president of the National Association of Immigration Judges, said it came without enough support staff. About a week before the shutdown, judges were told the courts ran out of money for many in-person translators and that, as a result, it would have to reach them telephonically. A hearing that might last three minutes would last 20 minutes. The shutdown is already having an impact on the immigration system. E-Verify, the online government system where employees can confirm the eligibility of their employees to work legally in the U.S. is down. Courts were only functioning for those who were detained. Other cases will be reset for a date once funding resumes, according to the website for the courts, which are overseen by the Department of Justice. Immigration lawyers said that will only worsen the already overwhelming backlog. Immigration attorney Jeremy McKinney said he expects cases in Charlotte, North Carolina will be moved to 2020 because this year's docket is already full. "The situation is a lose-lose," he said. In contrast, the funding problems have only minimally affected the U.S. government agency tasked with reviewing immigrants' applications for green cards and other benefits. U.S. Citizenship and Immigration Services, which is a fee-based agency, said its offices are open and immigrants should attend appointments as expected. Around 800,000 federal employees are homebound or working without pay for the 12th day as President Donald Trump holds out for funding for a border wall between the U.S. and Mexico. Trump has invited top Republicans and Democrats to the White House for a "briefing," one day before Congressional turnover gives Democrats control of the House. 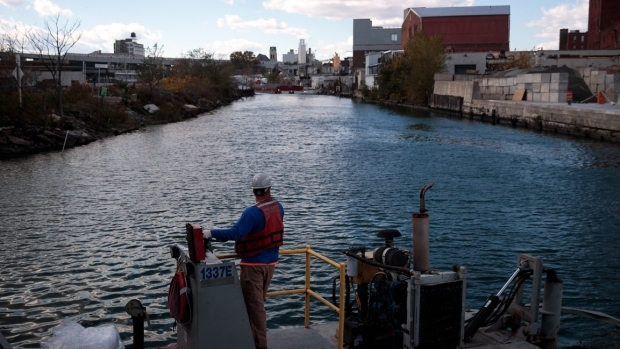 Associated Press Writer Amy Taxin contributed to this report.